If you love the smell of fresh raspberries, you should know that the Ketone in raspberries are the reason they smell so delicious and enticing. Until recently, raspberry Ketone have only been used for adding fragrance to cosmetics and foods like ice cream and candies. Now you can reap the benefits of raspberry Ketone and their abilities to help you lose weight with Raspberry Ketone Max dietary supplements. You can purchase Raspberry Ketone Max in bottles of sixty (60) capsules at around 49.95$USD from most distributors. 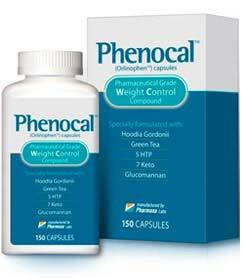 Recommended dosage of this supplement is one (1) to two capsules before each meal, up to three times daily. This product should not be used by women that are pregnant or nursing. 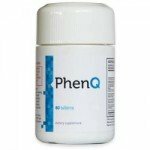 Before taking this product, discuss with your physician about the best dieting and exercise plan for you. Doing so can help you learn more about your health and how Raspberry Ketone Max can benefit you. 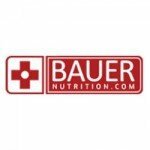 This supplement is available for ready purchase on the manufacturer’s official website. 300mg Raspberry Ketone – Thought to help regulate the hormone adiponectin, a hormone that regulates fat in the body. Some researchers also believe raspberry Ketone can help to improve liver functioning due to its effect on adiponectin, a key factor in how the liver stores and uses fats. 75mcg Chromium – A trace mineral that can help muscle building, carbohydrate dispersion and fat burning processes. 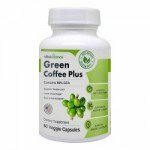 400mg Caffeine – Proven natural stimulant that increases energy and alertness. 550mg Green tea extract, containing 50% polyphenols – Green tea extract contains polyphenols, one being ECGC that helps to provide higher energy and strong antioxidant protection. 16-mg L-theanine – An amino acid found in green tea, this ingredient has been found to increase good moods, a key factor to staying positive during your dieting and exercising efforts. Inactive ingredients: Microcrystalline cellulose, magnesium stearate, gelatin capsules. 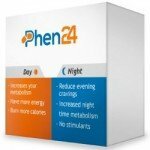 Does Raspberry Ketone Max Help You Lose Weight? Combined with a low calorie diet and exercise plan, Raspberry Ketone Max can help you lose weight. However, the many claims out there stating a supplement can actually melt away fat are not true. While Raspberry Ketone Max does contain energizing ingredients to help you fight the fatigue that comes with dieting and exercise while reducing calories, it is not a magical pill that will take care of the whole weight loss process for you. 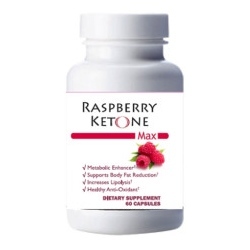 Some claims saying you can lose weight with Raspberry Ketone Max while maintaining a high fat diet are simply false. In fact, so supplement can do all the work for you if you are trying to lose weight and tone muscle. Your efforts are important for seeing real results for your efforts. Supplementing your diet with Raspberry Ketone Max can help give you greater energy and immunity during your efforts, so bear this in mind if you are considering this product for helping you to reach your weight loss goals. Many people worry about whether or not the claims being made about fast weight loss are true and that goes for most supplements and other types of weight aids out on the market today. Reading customer testimonials is the best way to learn more about the weight loss experiences other people have had using this product. The more you learn about Raspberry Ketone Max supplements, the easier it will be for you to make an informed choice about using them. Talking to your health care provider about your weight and how to lose it can be helpful before you start a dieting and exercising program, especially if you would like to supplement your diet with Raspberry Ketone Max. Making certain you are healthy enough to begin a diet and exercise routine is extremely important before doing so. If you are dealing with an underlying illness you may not be aware of, taking any natural supplement could make it worse. For these reasons, always talking your physician about any supplement you want to take is important before doing so.